Unbelievably, another year has flown by and it’s time for London’s annual Japan Matsuri again! 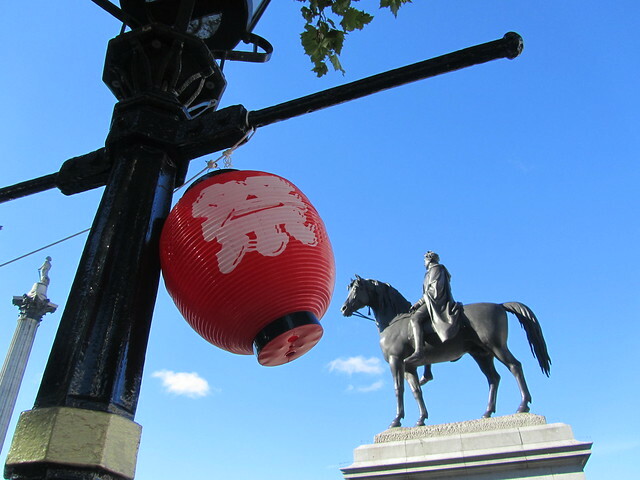 Japan Matsuri will be taking place on Saturday 5th October in Trafalgar Square, from 11am to 9pm. For more information, please visit the official Japan Matsuri website: japanmatsuri.com. The event will include live music (taiko drumming, Okinawan traditional music, classical music, folk songs, and more! ), dance (Okinawan ‘eisa’ dance, folk dances, and a bon odori procession), fashion, the fabulous SIRO-A, and a special guest performance from… Tomoyasu Hotei!! As well as all of that, there’ll be lots of stalls selling delicious Japanese food, arts and crafts, products from Fukushima (let’s support Tohoku! ), fashion and textiles, and holidays. The Japanese community in London is well-established with strong historical roots and this is a significant year for London’s connection with Japan. 400 years ago the first British trading post was established in Japan by the East India Company after an expedition led by London-born commander, John Saris. 150 years ago five young Japanese samurai came to study in London at the university open to all-comers. They were the first Japanese to go to university in the UK and, heroes in Japan, became known as the Choshu Five. Click here for my review of the 2012 Matsuri. Reblogged this on Alice and Japan.